We’re still on grandma watch here. Her respirations are slowing, and she’s only woken up a couple of times the past day or so. My sister, Elle James, and her dd arrived yesterday to provide much-needed relief. We’ll likely be holed up in grandma’s room, tending to her while we try to sprint through some pages today. Anything to keep our minds engaged elsewhere. Do you have big things planned for today? I have a suggestion! Read the excerpt below from Baby, It’s You, and tell me you’re not tempted to find a SEAL book-boyfriend to spend your day with! Comment for a chance to win one of my Uncharted SEALs stories! The morning that would change Melanie Schaeffer’s life forever began quietly enough. The whoosh of a curtain opening sounded a moment before sunlight spilled across her bed. Melanie rolled to her back to see the maid picking up clothing Melanie had left draped over a chair the night before. Yes, there was that. After two days, she still felt a little muzzy-headed. The nine hours’ difference in time zones from Austin to this little city bordering Asia and the Middle East took some getting used to. Melanie rubbed her eyes and blinked, focusing on the sun peeking through the arched window and the view of the lovely, lush garden beyond it. Bushes exploding with large cabbage roses and tall, fruit-laden palms nearly obscured the ten-foot wall surrounding the estate nestled in the diplomats’ sector. Never had she stayed in such a luxurious place, never slept in a softer bed, especially one covered in a plush white-and-blue damask duvet that felt as light as a cloud. So many luxuries to be enjoyed, but she felt uncomfortable surrounded by the opulence. And the last thing she wanted was to grow used to the amenities. At the end of summer, she would be heading back to her small, cramped apartment. Handsome U.S. ambassadors weren’t in her cards. More likely, she’d marry another teacher, and they’d settle into suburbia, worrying about the mortgage and their next car payment, and she was okay with that. She glanced at the designer suitcase, the logo prominent on the side—something that cost more than the clothing inside it—a gift from her sister. One to which Cassie likely hadn’t given much thought, or she would have gifted Melanie with something simpler and sturdier. Cassie wasn’t intentionally thoughtless. She’d likely told an aide to buy a case and ship it to her sister, never thinking the case itself would be an issue. Cassie had always been destined to have more in life. Always simply expected it. Stunning and smart, she looked like a movie star but spoke seven languages. That Cassie wanted her to be part of her life pleased Melanie, but she knew over time, they would drift farther and farther apart. Their worlds would never intersect. The maid continued to tidy her bedroom, so Melanie rose and moved to the suitcase she still hadn’t unpacked. She laid it open on an upholstered bench and rummaged for an outfit, nothing anywhere near elegant enough for her present surroundings—plain dark slacks and a blue, long-sleeved cotton blouse. Something appropriately demure should she be seen by any of the locals employed by her brother-in-law. “Are my sister and the ambassador still here?” She threw the question over her shoulder as she strode to the bathroom. Glad she’d managed to drag herself from bed earlier than the day before, she hurried through her ablutions and skipped down the stairs. Melanie took a step through the kitchen door, then quickly backed out, not wanting to interrupt the tender embrace between Cassie and Daniel. Since her arrival, she’d witnessed several such kisses, and she doubted they’d be embarrassed. She was the one with the problem. Their passion made her edgy…and a little bleak. Daniel couldn’t help that he looked so much like his brother that every time she saw him she felt a little twinge in her chest. After three years, she would have thought the nostalgic pain had diminished, but maybe she was a one-man woman. And maybe she needed to date more. She’d never forgotten her first real crush. No other man had ever made her feel the same intense desire. She’d met Carter Vance at her sister’s wedding. The intense attraction still mystified her. He’d barely smiled in her direction, although they’d been best man and maid of honor, and were forced into each other’s company constantly throughout the week of activities leading up to the wedding. 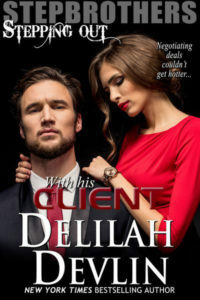 She’d blushed and struggled to be nice to the taciturn Navy SEAL, and he’d eyed her with a look that bespoke his impatience with all the hoo-hah surrounding the marriage of her sister to the ambassador, a local celebrity in their tiny town in Texas. Because Cassie and Melanie had no family to speak of, Daniel’s father had stepped in to give the couple a wedding befitting a Vance, a proud Texas family that had owned the Rocking V Ranch since Texas became a state in the Union. His father been kind and gracious, as had his brother Lee. They’d welcomed her into the family right along with Cassie, going to the extreme of talking her into transferring from Old Miss to the University of Texas at Austin so that she could visit during her breaks. They’d even paid the remaining years of her tuition. She’d graduated just a couple of weeks ago, and now, had time to think about what she wanted to do next. Grad school? Her teacher’s certification? She hadn’t quite made up her mind, and she didn’t want to impose any longer on Mr. Vance’s generosity. She wanted to start paying her own way. She cleared her throat and entered the breakfast room again to find her sister grinning and patting her hair. Cassie laughed. “I don’t work. Today, I’m just keeping the wife of the French attaché entertained while Daniel and his staff work on…whatever it is they’re discussing,” she said with a wave of her hand. Her sister scrunched her nose then glanced downward at her outfit, a very stylish olive sheath. A color that would have made Melanie look like death warmed over, but against Cassie’s dark hair and tanned skin, made her look very sophisticated. “Doe-wah!” Emmy squealed and reached her chubby little hands upward. Melanie’s heart did a little flutter. Never would she have imagined loving anyone on sight, but she was surely smitten by the cherub with cereal stuck to the side of her cheek. “Let me get a cloth, and I’ll clean you up.” She headed toward the sink. “Last time I did, you mashed your food all over my clothes.” Instead, Cassie caught one hand and drew it toward her mouth to give the tip of each chubby little finger a kiss. “Love you, sweetums.” With a flutter of her fingers toward Melanie, her sister preceded her handsome husband out the door. With their departure, quiet fell over the kitchen. Melanie took a deep breath, feeling a little guilty about the fact she was glad they were both gone. She’d have time alone with the little one, for them to bond and for Melanie to feel more relaxed. Because hey, her brother-in-law was her country’s ambassador to this little nation and lived in a freaking mansion. Her relationship with her sister wasn’t especially close; too many years divided them. Cassie had gotten a job in the diplomatic corps right out of college and had only been home for brief visits, the last time to attend their parents’ funerals. And although Cassie did do her best to keep in touch—calling once a week, sending lavish gifts, even buying her a small, used car—Melanie didn’t feel comfortable around her more polished and sophisticated sister. Not like she did with the baby from the first moment they’d met. She finished wiping the little girl’s fingers clean, removed the food tray, and lifted eighteen-month-old Emmy into her arms, just as she heard car doors slam outside on the cobbled driveway. Turning with the intention of walking to the window so the baby could wave good bye to her parents, Melanie caught a bright flash of light in the corner of her eye, felt a brief moment of complete, airless silence, then felt herself hurled through the air as an explosion of sound and debris hammered against her body. The moment lengthened, searing pain stung her cheek, and a scream rent the air. And as her arms tightened around the precious bundle still held tightly against her chest, Melanie fell into darkness. This entry was posted on Tuesday, February 6th, 2018 at 8:25 am in About books..., Contests!. 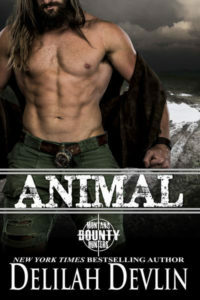 Tagged: excerpt, Flashback, military romance, Uncharted SEALs. You can feed this entry. Both comments and pings are currently closed. Color me tempted. As always great stories. Sorry for your family troubles. Don’t enter me. I’m trying to get over bronchitis – ugh. I’m sorry to hear about your grandmother but I’m glad your family can be with you. Prayers for your grandma and your family. Writing down these titles so I can do some ordering come Friday!